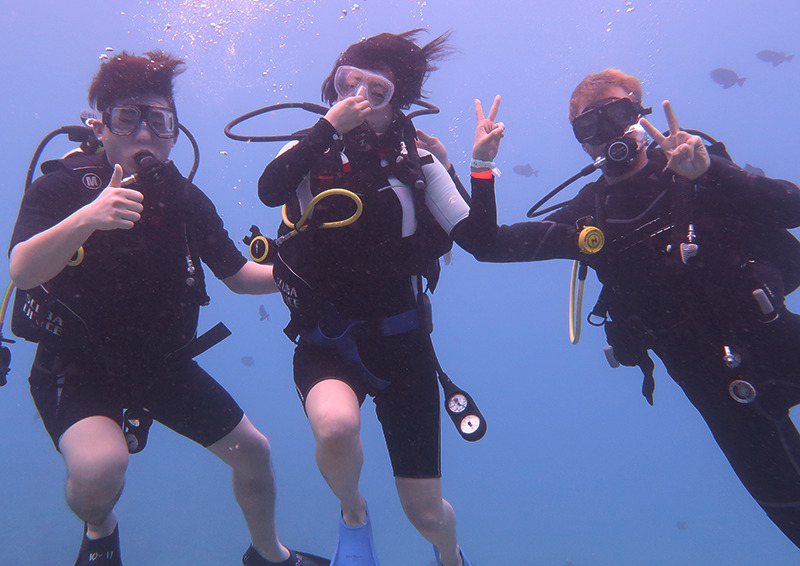 You can choose either Semi Private Diving (2 participants on 1 instructor) or Group Diving (max ratio 4 on 1). 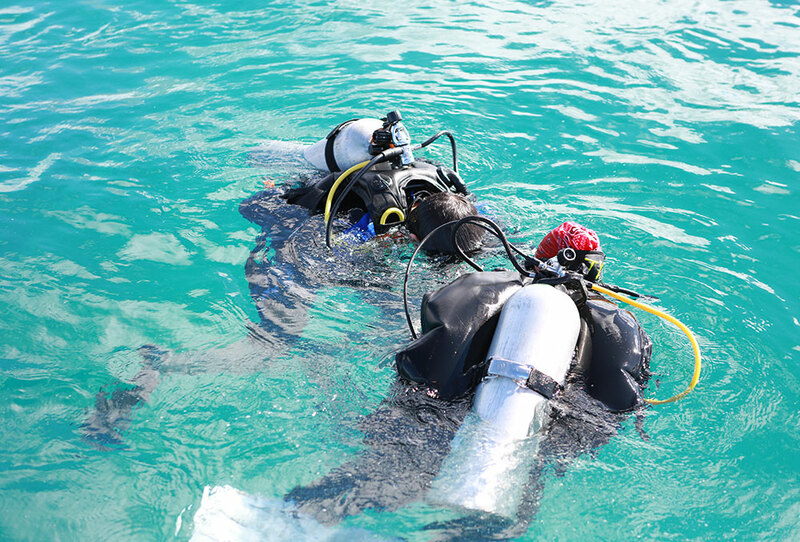 Prior to diving, your instructor will deliver a briefing about basic breathing techniques, hand signals, few diving skills and some necessary knowledge related to your new exciting adventure under the water. 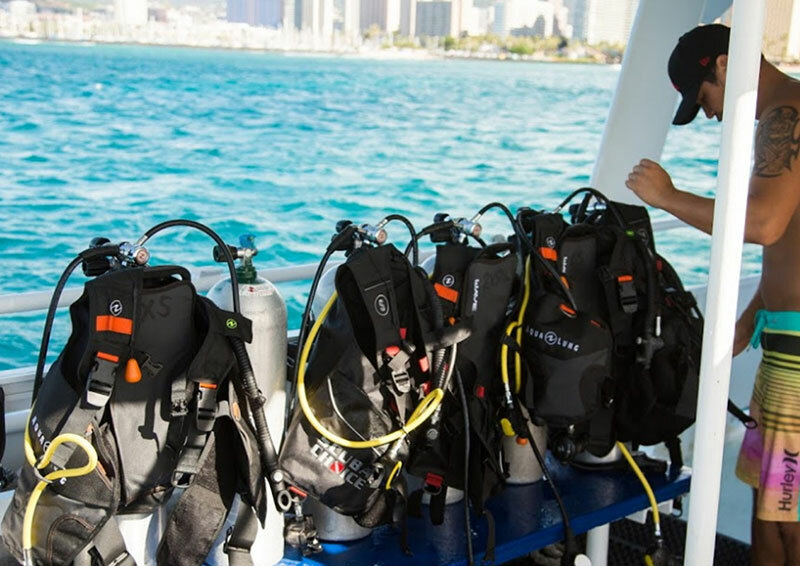 After the briefing, you will be equipped with our well maintained diving gear in almost new condition. 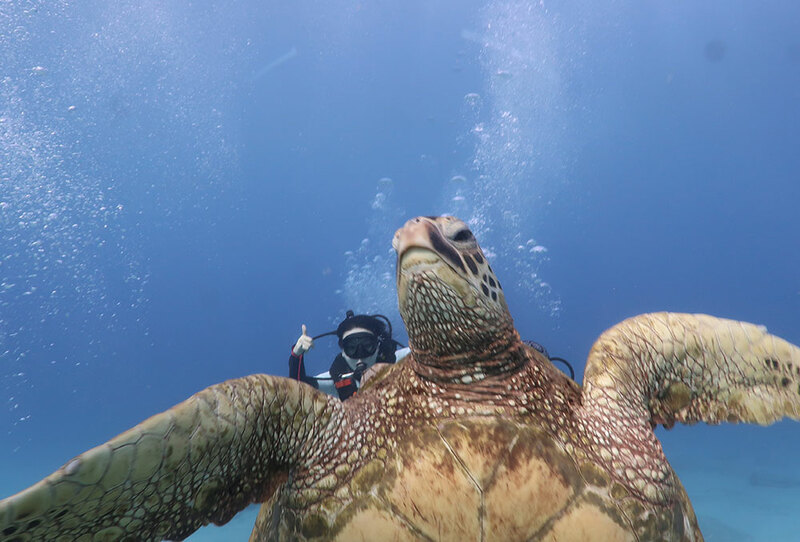 Our experienced and friendly staffs will help you to be ready for a dive. 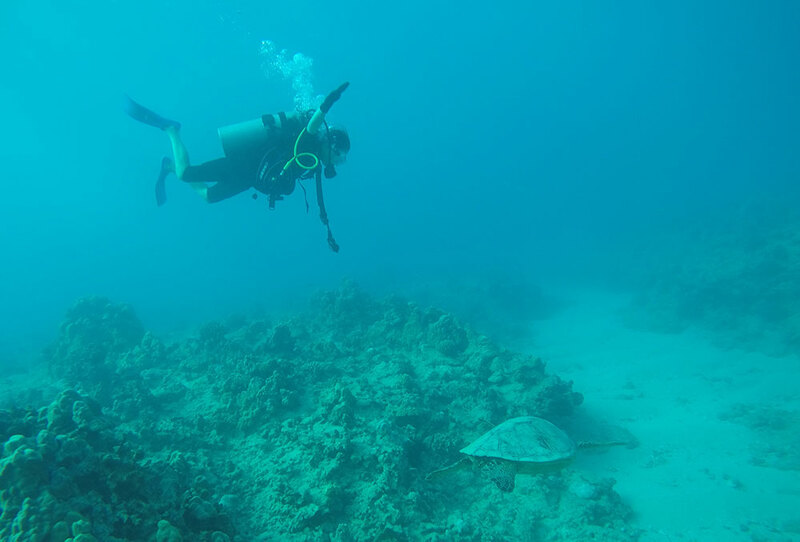 Now you are ready to go explore and discover the wonders of the Hawaiian ocean! Your instructor will be next to you throughout your amazing journey! Have fun! 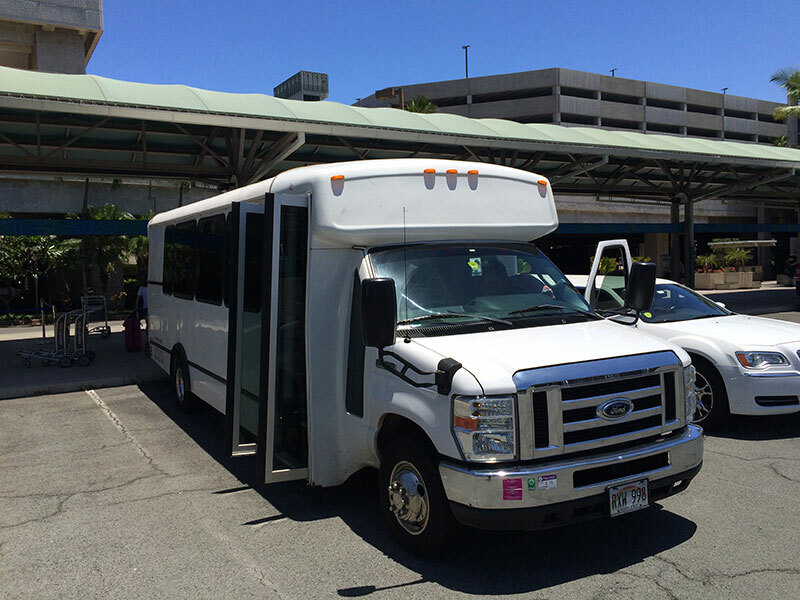 We offer free transportation service for guests staying at Waikiki based hotels. * Pick up locations vary from hotel to hotel. The exact pick up location and time can be selected when you make your reservation. When you arrive at the dock, you can find a yellow booth. That's where you need to check-in by showing your voucher to our staff and you will get a wristband. You will also need to sign on waivers. If all is done, please step aside and wait for one of our staffs guides you to our activity boat. We then take you to the vast and beautiful Pacific Ocean! 3. Activity participant waiver and survey! 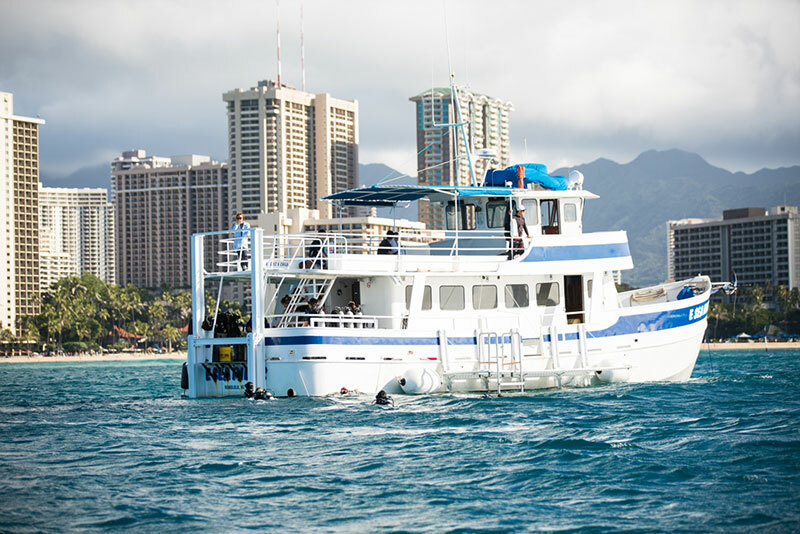 After you board on the boat, we require you to sign a waiver (located inside the provided PADI issued pamphlet) and survey on your medical history. 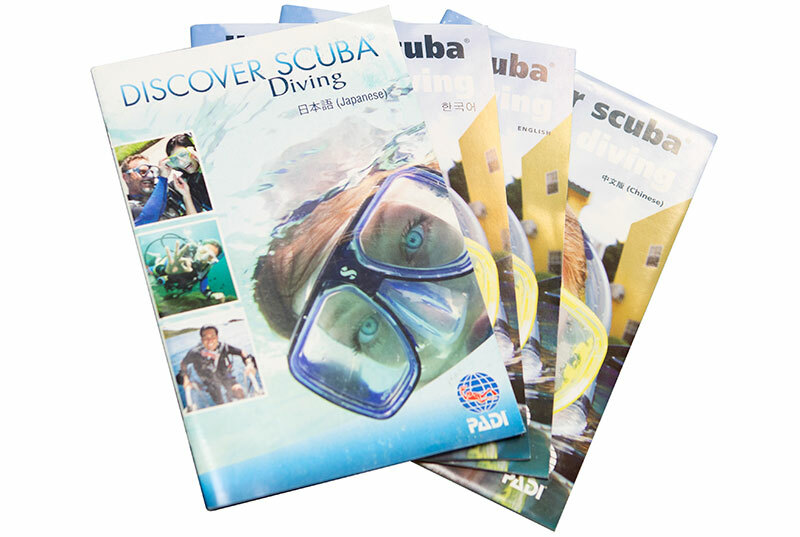 We honor and follow all PADI regulations and we will provide you with a PADI issued pamphlet which is provided in English, Korean, Japanese, Spanish and Chinese among other languages. 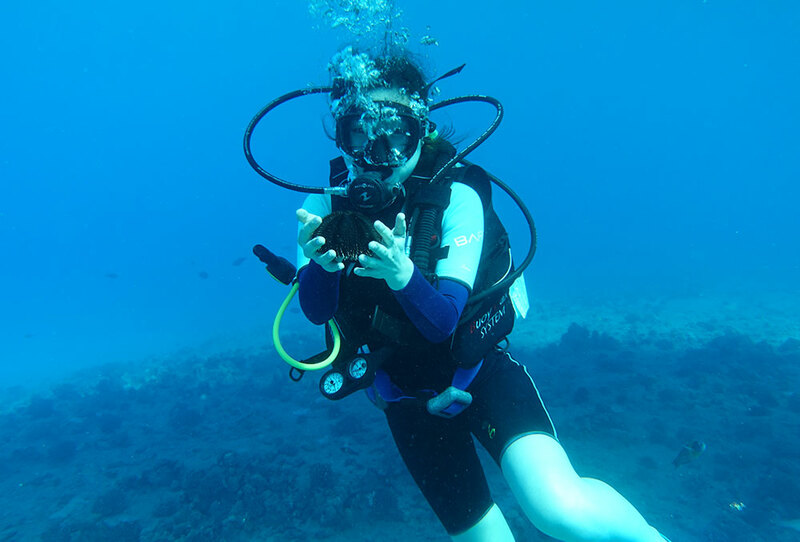 * Scuba diving requires participants to be in a healthy mind and body condition. 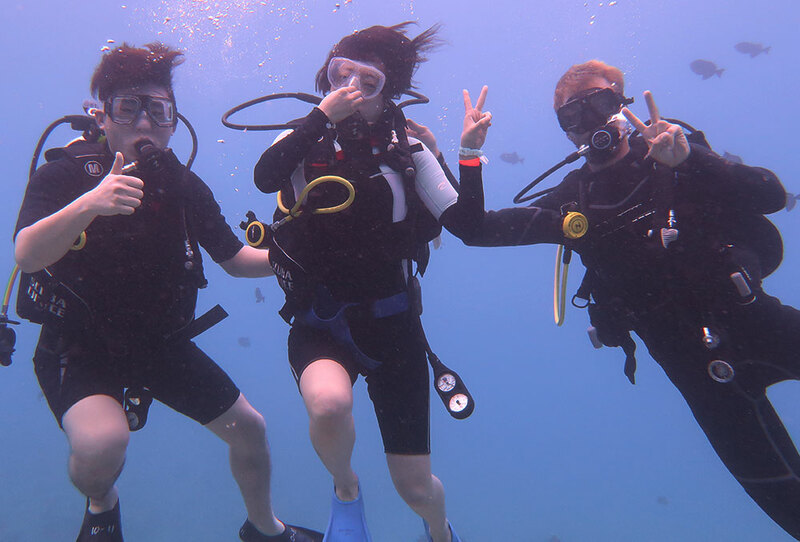 Thus, we will only allow those in healthy physical condition to participate in the scuba diving activity. If you have any health concerns, please give us prior notice on your medical condition or concern so that we may advise whether or not you should participate. 4. Wet suit (diving suit) & Scuba diving equipment check! We make sure that you are well equipped. We have all dive gear including wet suits and fins in different sizes. If you need a mask with prescription, please ask one of our staff. 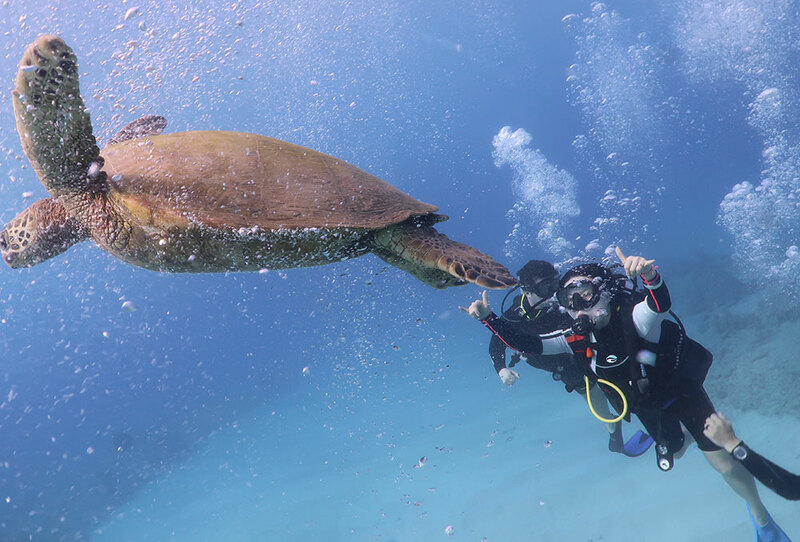 Before diving, we make sure that you have all the required items and have a completely understanding of safety measures. After you have gone through the final check, we are off to the ocean floor. 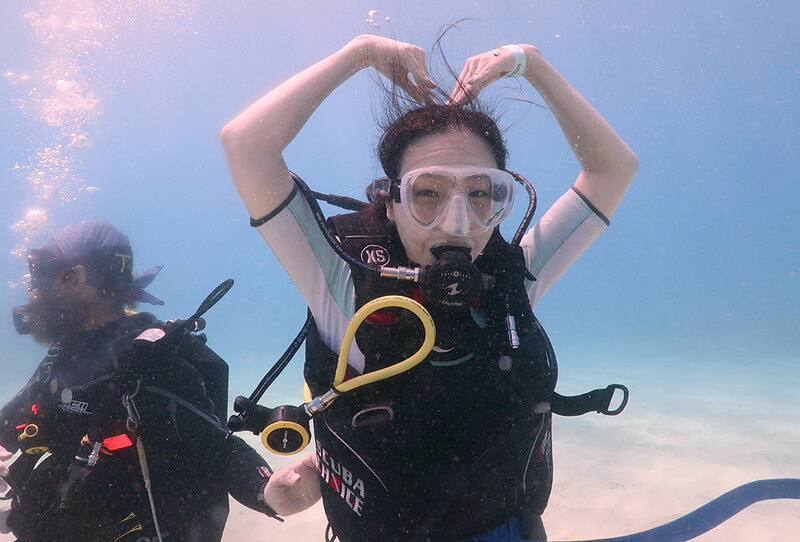 In our 1 tank course, we will go through the hand signals and equalizing techniques to make sure you have a clear understanding before exploring the ocean (10-12m - around 30ft) (depending on instruction and comfort level, this may take away from the prepared diving course time). 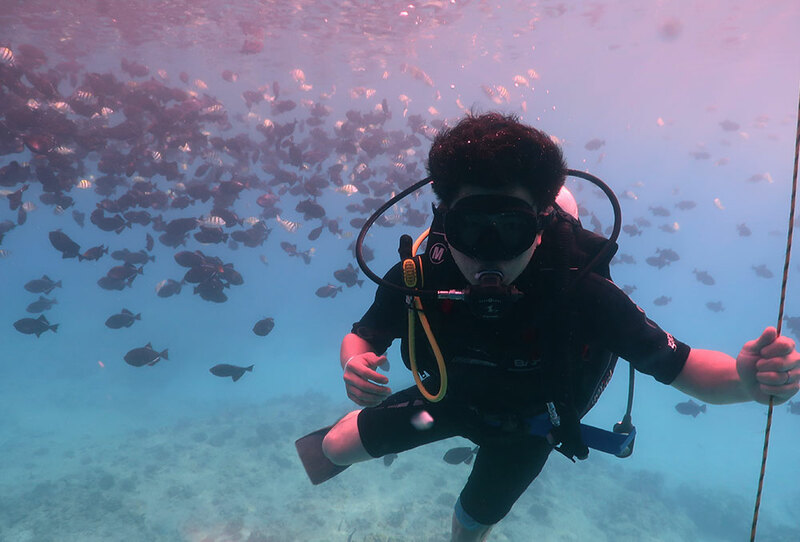 For more time flexibility, we recommend going with the 2 tank course as this gives you more time to continue scuba diving with your instructor as you become more comfortable with the water before continuing on to the prepared beginner course. 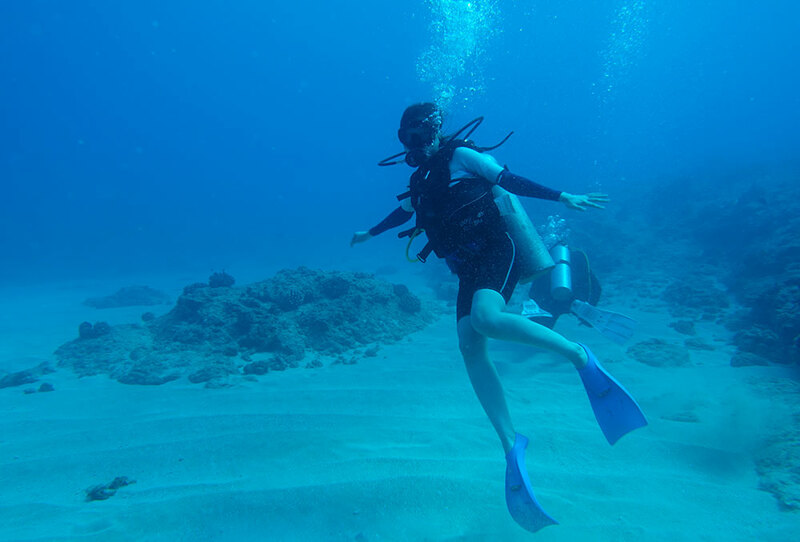 Air tanks used in scuba diving are about 30-40 minutes per 1 tank, however, depending on your breathing and usage of the tank, this may alter the total time of the available air of the tank. 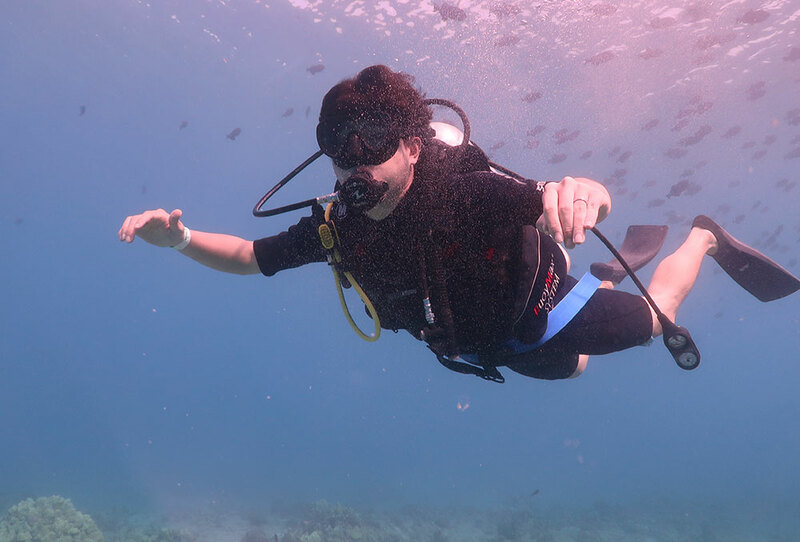 You also have the option of snorkeling during your rest period or while you are waiting for others to come up from their dive. 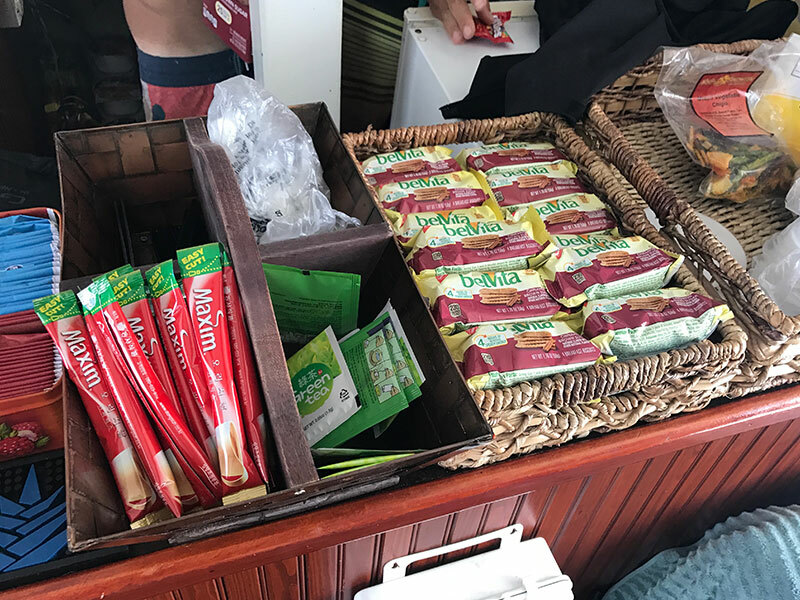 We offer complimentary snacks and drinks on our boat for your convenience. We only permit, with our judgement, those in good overall health in making reservations in our ocean activities. We strongly recommend in not riding any type of aircraft for at least 24 hours after diving. This activity can be cancelled due to weather conditions or other conditions that may factor in the safety of the activity. 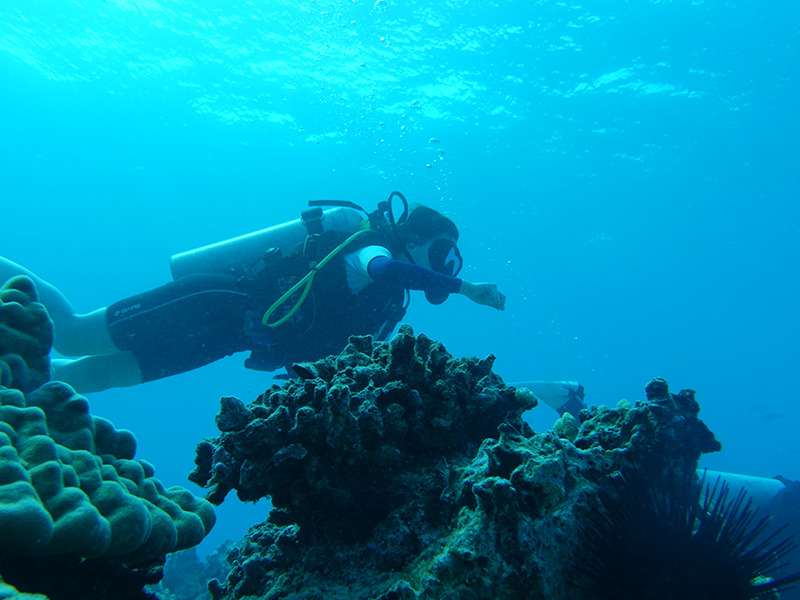 The diving point location can change without notice due to weather conditions or season. Those who are on medication, have prior history with alcoholism, psychological issues (depression, panic attacks, etc), smokers over the age of 45 years old are advised not to participate in this activity. Those who are over-weight, have high blood pressure and blood circulation related problems, medical issues with with your circulatory system, asthma and/or breathing issues, cardiac disorder, nasal related problems (such as sinus infection, rhinitis, allergies, and nasal congestion), spinal problems, or severe problems with their overall health are not advised to participate in this activity. We advise those with a family history with heart-attacks, strokes, high blood pressure, diabetes not to participate in this activity.